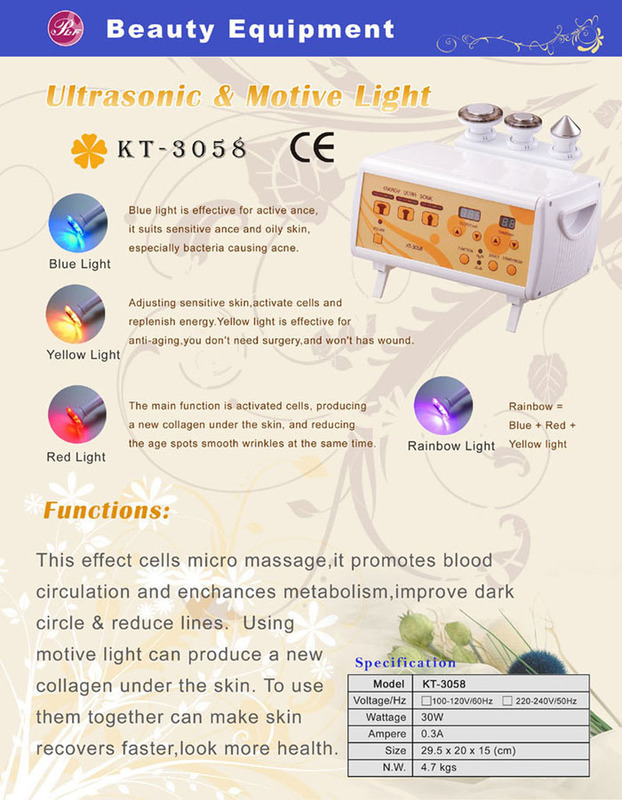 Taiwan Ultrasonic & Motive Light (KT-3058), Skin Care, Beauty Equipments - Palifull Co., Ltd.
ance and oily skin,especially bacteria causing acne. need surgery,and won't has wound. spots,smooth wrinkles at the same time.